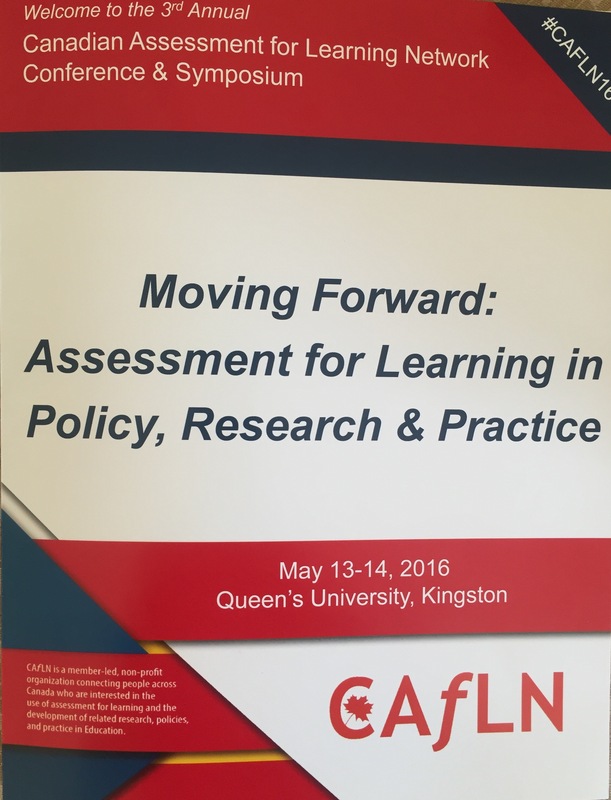 Recently I was invited to be a member of the EOSDN Panel Presentation at CAfLN (Canadian Assessment for Learning Network Conference & Symposium) held at Queen’s University. CAfLN is a member-led, non-profit organization connecting people across Canada who are interested in the use of assessment for learning and the development of related research, policies and practice in Education. Since I had been the board’s numeracy facilitator for the first two years of the EOSDN math project I had some key learnings to share. This post will focus on Year 1. “Assessment for Learning has played a big part in our board’s inquiry work, beginning with the facilitator role. As a result of our job-embedded work and the co-learning that took place within the Collaborative Inquiry Model (CIL-M) for professional learning and the work of the Student Work Study Teacher, observation of students became a key assessment strategy that we used in order to learn about student thinking and to inform our next steps. As facilitators we were developing our observation and questioning skills, but the EOSDN (Eastern Ontario Staff Development Network) math project pushed us to a higher level with its math content goal of proportional reasoning. 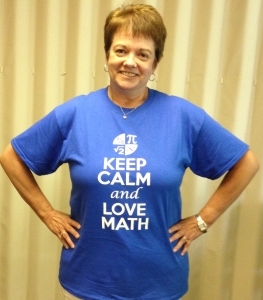 With this focus on an important big idea that spans all strands of the mathematics curriculum we began to impact our own math content knowledge and those with whom we worked with. Why are most students representing their fractional thinking in circles no matter what the context? How might we build on this understanding of fractional quantities represented in circles (area model) to a deeper understanding of proportional reasoning using the linear model of representation? Project funding provided opportunity for educators to work with math experts Dr Marian Small on proportional reasoning and we had the opportunity to hear Dr Cathy Bruce explain her current research on fractions. She described this over reliance on circles. As a result of these findings, she was exploring the linear model representation, because it is this model that helps students understand fractions as a number rather than one number over another. This exposure to her research which was very timely for us, along with our assessment for learning data, led us to explore this topic more deeply. So our own assessment for learning data (observations, student work samples, conversations, assessment tasks) and the current research on proportional reasoning influenced our assessment for learning practices. We moved to greater precision in what we were looking for and listening for. Our data provided information to inform our next steps. Through this work we discovered that many educators were not comfortable with the linear model and a much greater emphasis was placed on the area model of fractions from the early grades on. Years 2 & 3 of the project were more specifically focused on multiplicative thinking which is another key concept of proportional reasoning. More about that important topic at a later date.